Gaon of Sura (911-924). After the death of his predecessor, Shalom bar Mishael, the Academy of Sura became impoverished and was abandoned by most of the students (Sherira, in "M. J. C." i. 39, 189). 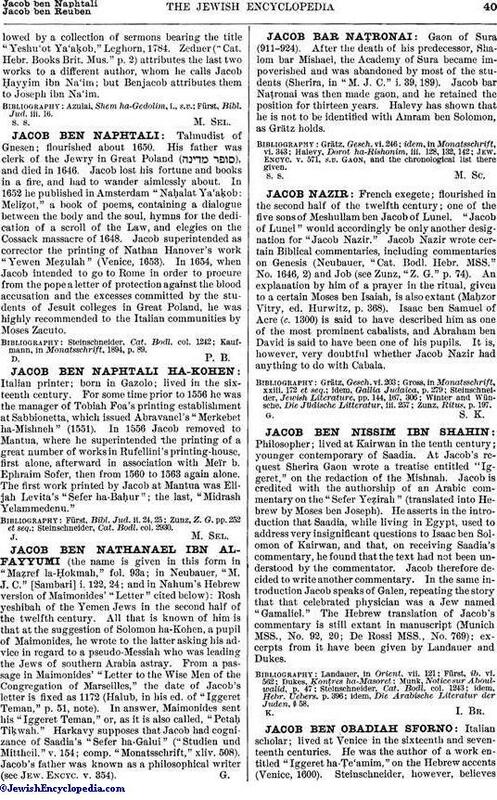 Jacob bar Naṭronai was then made gaon, and he retained the position for thirteen years. Halevy has shown that he is not to be identified with Amram ben Solomon, as Grätz holds. Jew. Encyc. v. 571, s. v. Gaon, and the chronological list there given.